SEABISCUIT'S LEGACY | Former VP Mondale Signs Release for Seabiscuit’s Legacy Film Trailer! 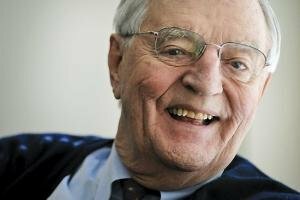 Former Vice President Walter Mondale, in a show of support today, signed a release to use footage taken of him during the Seabiscuit stamp dedication at Ridgewood Ranch in 2004. We will use this in our new promotional trailer, and possibly in the film. We’ll be finalizing trailer over the next week. This is very good news as we head into pitching Seabiscuit’s Legacy at the American Film Market event in Santa Monica next month, and then attending the Napa Valley Film Festival right after that.